Big news today. Ferrari-Carano Vineyards and Winery‘s wines will be more accessible across Canada. If you have never tried their Fume Blanc it is top quality. If you have a chance to go to the Dry Creek Valley in Sonoma County, California, you will be greeted by spectacular grounds and winery. You will feel like you have stepped into a winery in France. Here is the press release that I received this morning. Cheers! MIAMI and DALLAS, June 5, 2018—Southern Glazer’s Wine & Spirits (“Southern Glazer’s”)—the largest North American wine and spirits distribution company—announced today that it has expanded distribution agreements across its U.S. and Canada network with Ferrari-Carano Vineyards and Winery, a leading producer of world-class, nationally-acclaimed wines. With this expansion, Southern Glazer’s will now distribute Ferrari-Carano’s portfolio of wines in 34 U.S. markets, as well as all of Canada. Prior to this expansion, Southern Glazer’s distributed Ferrari-Carano wine brands in 19 U.S. markets. 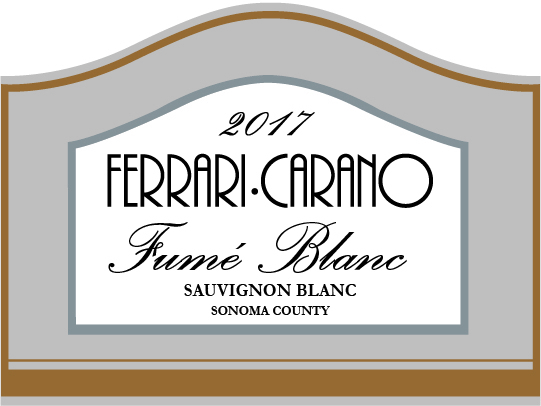 Since its founding, Ferrari-Carano has become a leading producer of world-class, nationally-acclaimed wines, made at its Dry Creek Valley winery in Sonoma. Vintage after vintage, the wines exhibit a remarkable consistency of style and elegance. Founders Don and Rhonda Carano’s uncompromising commitment to quality and excellence is a reflection of their desire to produce memorable wines that enhance the pleasures of gracious entertaining. Don Carano passed away in 2017 and following his passing, Rhonda Carano was named of CEO of Ferrari-Carano Vineyards and Winery. With this expanded alignment, Ferrari-Carano will have access to Southern Glazer’s unmatched National Accounts reach, covering more than 90 percent of the winery’s business. The National Accounts team is supported by a dedicated Business Intelligence Center of Excellence that provides customers and suppliers with the largest data set in the industry, including shopper marketing trends, retailer insights, and trade business intelligence. Founded initially as a small wine farm in 1981 by hospitality-industry pioneers Don and Rhonda Carano, the Ferrari-Carano family of brands now comprises the very best in hospitality, wine and food experiences in California’s North Bay region. The portfolio comprises destination wineries in Sonoma (Ferrari-Carano Vineyards and Winery) and Mendocino (Lazy Creek Vineyards) counties; three wine production facilities; 24 certified-sustainable estate-owned vineyards spanning more than 1,400 acres across three counties; the 44-room Vintners Inn and John Ash & Co. Restaurant; and Seasons of the Vineyard Tasting Bar & Boutique in Healdsburg. Ferrari-Carano is one of the region’s leaders, setting the bar for the highest standard in hospitality, wine quality and sustainability. Adults over 21, please enjoy Ferrari-Carano and Lazy Creek Vineyards wines responsibly, and for more information about Ferrari-Carano, visit www.ferrari-carano.com, or follow us on Facebook, Facebook.com/ferraricarano, Instagram or Twitter, @ferraricarano. Southern Glazer’s Wine & Spirits is North America’s largest wine and spirits distributor, and the preeminent data insights company for alcoholic beverages. The Company has operations in 44 U.S. states and the District of Columbia, Canada, and the Caribbean, and employs more than 20,000 team members. Southern Glazer’s urges all retail customers and adult consumers to market, sell, serve, and enjoy its products responsibly. For more information visit www.southernglazers.com. Follow us on Twitter and Instagram@sgwinespirits and on Facebook at Facebook.com/SouthernGlazers.